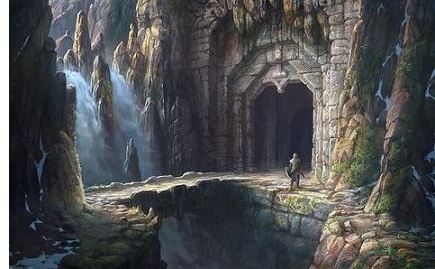 Menegroth - The capital of the Sindarin Kingdom of Doriath. With the Great Journey, and subsequent Sundering of the Elves, some stayed behind in Middle-earth and made it their home. The Elves in Beleriand became the Sindar and their king was Thingol. He built Menegroth with the help of the Dwarves.